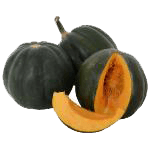 Squash Recipes – Nelson Nursery, Inc.
Cut squash in half, scoop out seeds and strings. Place in baking dish cut side down. Add a little water and bake at 350 for 45 minutes or until tender. Fill cavity with dabs of butter, brown sugar and pecans. Salt and pepper to taste. Preheat oven to 425 degrees. Generously butter a rimmed baking sheet. Halve squash crosswise. Scoop out seeds; discard. Slice a small piece off the bottom of each squash half just enough to level. Set squash halves, scooped sides down, on prepared sheet. Bake until golden, 20 to 25 minutes. Preheat oven to 400 degrees F (200 degrees C). Toss butternut squash with olive oil and garlic in a large bowl. Season with salt and black pepper. Arrange coated squash on a baking sheet. Roast in the preheated oven until squash is tender and lightly browned, 25 to 30 minutes. Heat oven to 350°F. Cut squash into quarters; remove seeds. In an ungreased shallow baking pan, place pieces cut sides down. Bake 45 to 50 minutes or until tender. Spray 1-quart casserole with cooking spray. Scoop squash pulp from skin; place in medium bowl. Discard skin. Bake 20 to 25 minutes or until hot.